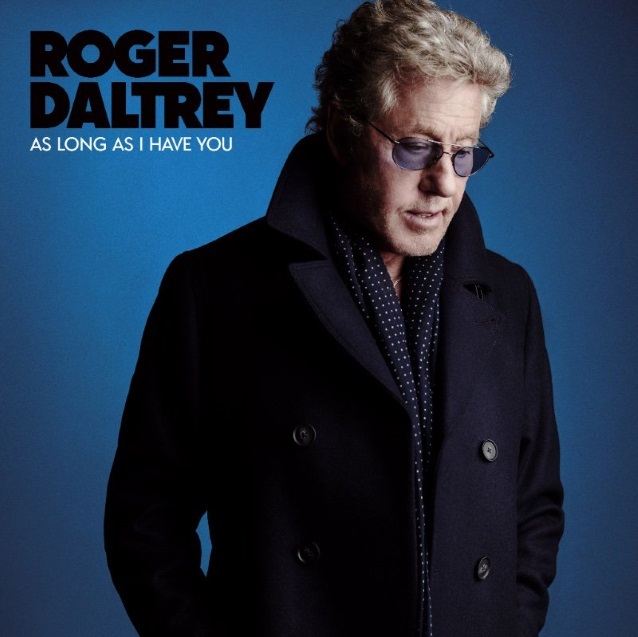 Legendary THE WHO frontman Roger Daltrey will release a brand new studio album, “As Long As I Have You”, on June 1 via Polydor/Republic. Daltrey has sold over 100 million records, including nine U.S. and 10 U.K. top ten albums and 14 U.K. top ten singles. He’s played over well over 2000 gigs in a career spanning over 50 years including venues such as Woodstock, Monterey Pop, Glastonbury (twice), Hyde Park (four times), The Isle Of Wight (three times), Desert Trip, Shea Stadium, Super Bowl half-time show and Live Aid, to name but a very few. Roger has raised tens of millions of pounds for charity all over the world and was awarded a CBE for his work with The Teenage Cancer Trust and is in the Rock And Roll Hall Of Fame, the UK Music Hall Of Fame and has lifetime achievement awards from the Brits and from the Grammys. “As Long As I Have You” was produced by Dave Eringa, best known for his work with the MANIC STREET PREACHERS and on Roger and Wilko Johnson‘s album “Going Back Home”, and features Pete Townshend‘s inimitable guitar on seven tracks as well as guest performances from Mick Talbot (DEXYS, THE STYLE COUNCIL) on keyboards and Sean Genockey (lead guitar), who has worked with SUEDE, SHAME and THE PROCLAIMERS. Work on “As Long As I Have You” was started shortly after the Top 5 gold-selling “Going Back Home” was released and continued during breaks on THE WHO‘s record-breaking 50th-anniversary tour “The Who Hits 50”. The album is a mixture of tracks such as “Certified Rose” and the soulful ballad “Always Heading Home” along with songs that have inspired Daltrey over the years, including Nick Cave‘s “Into My Arms”, “You Haven’t Done Nothing” by Stevie Wonder, Stephen Stills‘s “How Far” and the title track originally recorded by Garnet Mimms in 1964; the year that Daltrey, Townshend, Entwistle and Moon changed their name from THE HIGH NUMBERS and became THE WHO. Roger will headline the Royal Albert Hall on March 22 in aid of The Teenage Cancer Trust.